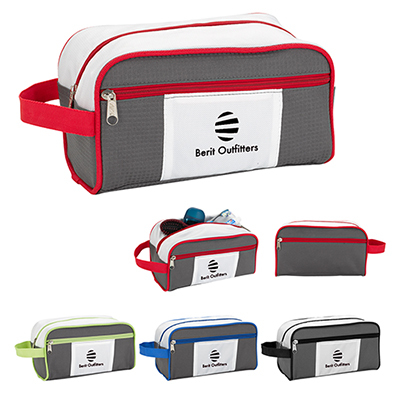 Offer your clients the perfect combination of style and functionality with this amazing personalized Amenities Bag With Mirror. An ideal accessory for everyday use, it conveniently stores many essential items. 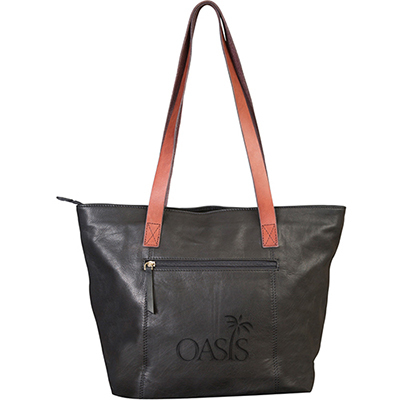 These trendy bags are made of a combination of suede-look vinyl front with microfiber back and gusset. Your brand name will be imprinted with Standard Silk-Screen Colors to ensure lasting visibility. 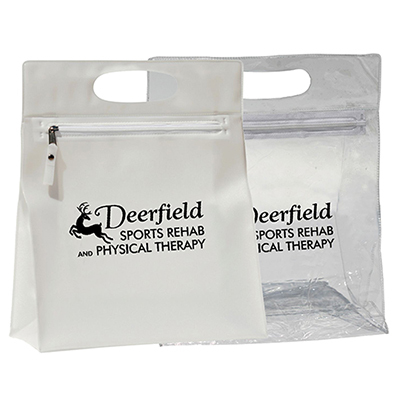 This logo Amenities Bag With Mirror is a great giveaway option for your target customers as well as employees. 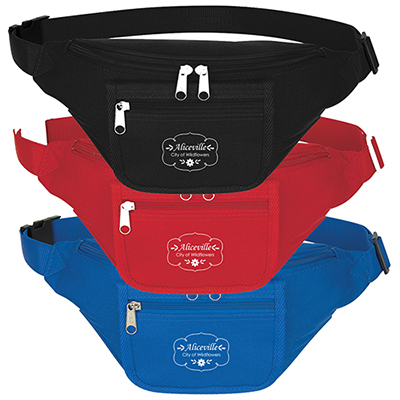 Great for travel or everyday!